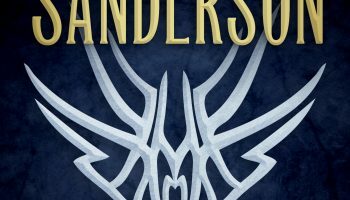 While I never really liked Brandon Sanderson’s first Mistborn trilogy very much, I enjoyed last year’s Shadows of Self enough that I was able to go back and reread the original trilogy, and now can’t say why I disliked them so much. 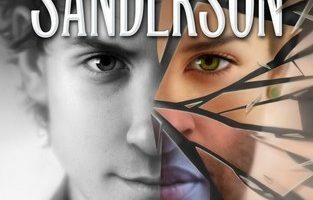 Shadows of Self ended up being one of my favorite release of last year, and while it’s still only January, it’s already looking like that might be the case again with this newest Mistborn book. 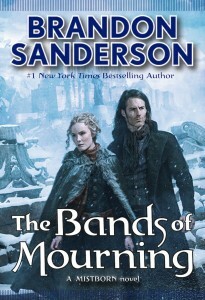 The Bands of Mourning is a fast-paced and complex story that I found myself unable to put down from start to finish — I’m honestly a little surprised I wasn’t late to work the day I started reading it. I don’t think I can properly say how much I enjoyed this book, I can’t count the number of times I found myself on my feet while reading it, pacing back and forth across my bedroom trying to process what I had just read, or wishing that I knew anyone else who had read it yet, just so I could talk to someone about it. While Brandon managed to answer most of the questions that I had after finishing Shadows of Self last year, he somehow managed to leave me with twice as many following the end of Bands of Mourning. It drives me crazy he manages to do this every single book. 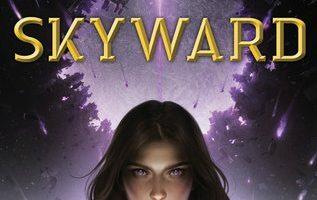 I have so many new theories on the series and on the Cosmere in general following the completion of this book that I’m afraid the wait for the next in the series might actually kill me. Great plot and amazing writing aside, I would say my favorite part of this book is the characters. Wax and Wayne are just fun to read about, especially when they are in scenes together, or when Wax is trying to get them out of whatever trouble Wayne has somehow managed to cause. Even Steris and her cousin Marasi each managed to break out of their shell and manage to stand on their own and support Wax and Wayne in their adventure. One of the most interesting parts of this book was getting a deeper look into the personal history of Wax and Wayne — I hope this becomes a trend that we see more of in the next book. 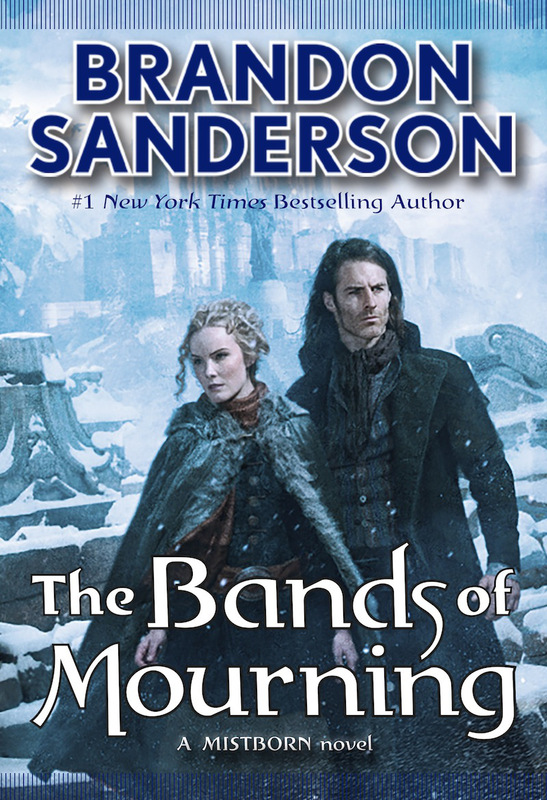 The only real complaint I have about The Bands of Mourning is the same one I have about all of Brandon’s books, that it ended. 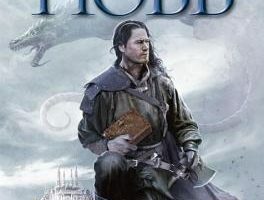 I don’t know what I’m going to do, or what I’m going to read while I wait for the next book in the series to release.